Going beyond just automation, we leverage the power of Artificial Intelligence and Analytics. 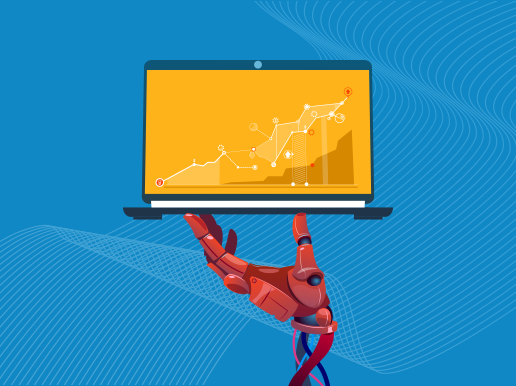 Through, AI enabled Dashboards, we support enterprises in complex and creative problem solving by enabling analysis of vast amounts of data and identifying trends that were previously impossible to detect. This can lead to massive productivity gains for the enterprise and rise in quality while cutting operational costs. Artificial Intelligence is already transforming enterprises in a way no one could have imagined. It is fundamentally re-inventing how businesses are run and how they compete and grow. Aloha Technology enables enterprises all over the world to develop a competitive advantage by making their current operations efficient & cost effective. With over 12 years of experience and 3 development centers in India, Aloha Technology is a leading provider of Information Technology Services.